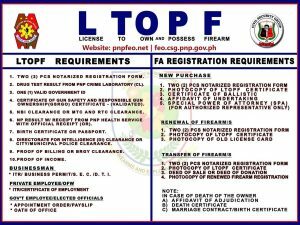 Advise the RD, PRO on matters pertaining to personnel and records management; Study and provide information pertaining to the personnel activities of the Command; Furnish estimate, advice and analysis to the RD, PRO 11 on personnel matters. Translate decision into directives concerning personnel information and movement or deployment of elements of the Command; Prepare personnel plans and projections; Recommend changes in plans, policies and order to ensure the efficient procurement and employment of the human resources of the Command; Administer and manage pertinent records of uniformed and non-uniformed personnel of the Command; and Perform the other function as the RD, PRO 11 may direct. 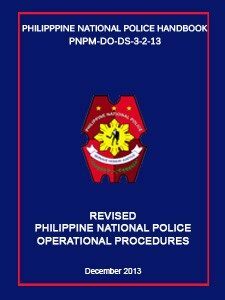 The mission of the Regional Personnel and Human Resource Development Division is to assist the RD in the exercise of the command pertaining to management of PNP uniformed and non-uniformed personnel as individuals, manpower procurement and control, personnel records and reports, discipline, law and order, administration of prisoner of war, morale, personnel services and personnel procedures, the internal organization of the Headquarters and its administration function, and miscellaneous function assigned by the RD, DRDA, DRDO and RCS, and to accomplish the mission. Review the drafts of the decision prepared by the Summary Hearing Officers and monitor those pertaining to dismisssal, demotion, suspension/forfeiture of pay and other penalties and appeals on AWOL/Dropping from Rolls and Petitions for Reinstatement/Reappointment. Serves as the repository of the admin and related case records of PRO 11. Reviews the drafts of the draft Decision submitted by the Summary Hearing Officers and prepares the corrected copies of the Decisions, in close coordination with the RLS, and routes the same to the DA with cover memos. Performs others tasks as may be directed or as necessary. Admin Holding Section shall be responsible for the accounting of all personnel who are due for CDD/TPDD, relieved from their assignment and are due to retire in less than (1) year, under Restrictive custody, which duration may exceed hundred eighty (180) days with pending cases, confined in hospitals and suspension. In case Personnel with pending cases are cleared of their cases, or suspension has been lifted, a report shall be submitted to the DPRM for future assignment. Responsible for the maintenance, retention, preservation, conservation, and disposal of public records including the adoption of security measures and vital records protection program for the PNP region wide. Authenticate official documents used in the National Headquarters and separate unit as well as those use in government agencies and private sector. Obtain, recover, transfer and have custody and management of all PNP personnel records not in custody. 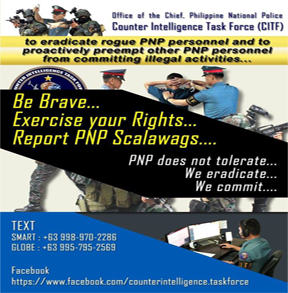 Serves as repository of PNP files region wide. Prepare plans and formulate directives and guidelines for the values formation education and orientation of all personnel. Formulate doctrine pertaining to the organization, administration and operation of the PRO 11 in coordination with other directorial staff. Collate, study and research operation and administrative reports of field officers and students for doctrine operation. Conduct training needs assessment of various positions in Regional Office hierarchy. To take appropriate action of all related directives and directives and memorandums from higher headquarters down to lower units/offices. To perform other functions as directed. 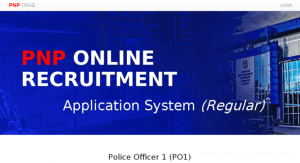 Process the application of the PNP applicants implementing the policies and guidelines governing recruitment and lateral entry program. 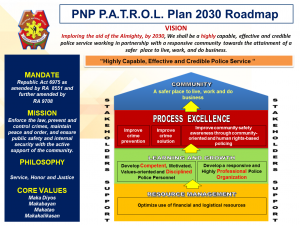 Evaluate the qualification of the PNP applicants and recommend to the Regional Screening Committee. Assist the screening committee in the final deliberation of the PNP applicants. Prepare the resolution of the qualified applicants for signature of the screening committee. Maintain database for the 2nd level position. Perform other task as directed by the RD. Prepare the CSC KSS (Blg. 33) of the promotees for attestation of appointments. Implement the programs of Morale and Welfare Division , DPRM to the personnel of Police Regional Office 11 to boost their morale for effective and efficient public service. Issue the award approved by the Regional Director for Publication. Update housing profile of the uniformed and Non-Uniformed personnel. Prepare memo for approval of the schedule Retirement Honors for retiring personnel every last Monday of the month. Prepare and submit monthly reports to higher headquarters. Endorse the CLB application to DPRM.